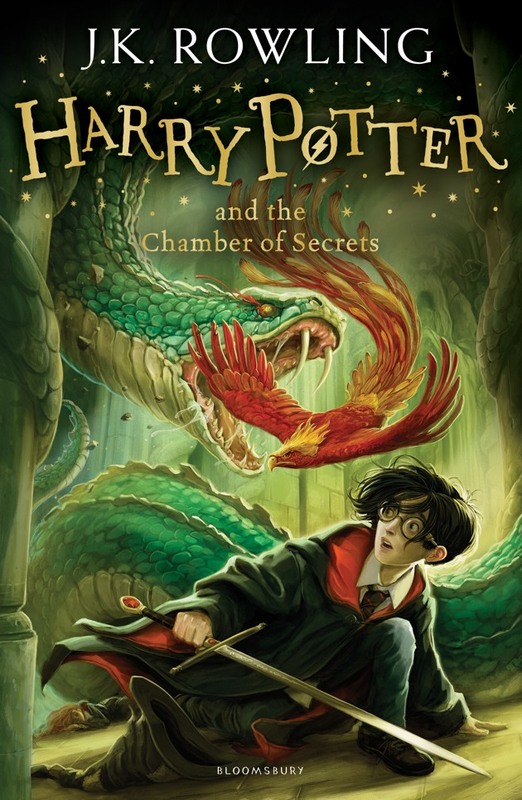 It’s week 2 of our Chamber of Secrets reread with Shelfie. We hope you’ve been reading along with us. If you missed part 1 – catch up here: Part 1. And check out our cool post on some of Tqwana’s favorite Harry Potter fan art. Also, don’t miss Heather’s re-cap of her own re-read from last year. Here’s our schedule again. This week we’re back at Hogwarts! Don’t forget to enter for a chance to win a Dobby Funko Pop! * To enter, comment with your answers to the trivia and discussion questions each week and follow the steps on the Rafflecopter widget. You just joined the dueling club. What’s your go-to defense spell? Think like a second year. 2. Trivia: Name ALL the ingredients used to make Polyjuice Potion. 3. If you could make Polyjuice Potion, who would you choose to turn into? Look for more questions and more chances to win in the coming weeks as we read the rest of the book. The winner will be announced on March 31, 2016! Heather: Expelliarmus would be the best, like Tqwana says, it’s Harry’s go-to. Tqwana: I have to be like Harry – Expelliarmus! Or Protego, but I’m not sure that’s a 2nd year spell. Everyone knows the bit of the person you’re turning into, so we don’t mind sharing that one. What else??? Oh and Michelle Obama! Stellar pick. It’s especially fun if you say it the way Alan Rickman/Snape says it. Ex…pelliarmus! 1. Expecto Patronum! It’s always been my favorite spell! Especially because I like to think my patronus is a donkey! ???? Don’t ask me why ???? 2. Oh I like this one!!!! 3. Of all three questions, I find this one the most difficult one… But I think I would like to be the Duchess of Camebridge for one day. Just to know what it’s like to be a princess in the British Royal Household! Although I do prefer Prince Harry more than Prince William ???????? I was just thinking… Expecto Patronum is not a spell for second years ???? Will have to go with Expelliarmus then as well! ???? 3. Definitely the President of the USA! Very important details about the ingredients the rest of us left out. You rock! Previous Previous post: Where Has All the Fan Art Gone?